In yet another display of great human ingenuity, NASA’s Curiosity vehicle has beamed down some amazing new pictures of the Red Planet, taken in the Murray Buttes mesa. The Martian buttes and mesas rise above the planet’s surface. They are the eroded remnants of ancient sandstone formations that were created by sand deposited by winds. Curiosity landed on Mars on August 6, 2012. The landing site, a plain between the northern wall of Gale Crater and the northern slopes of Aeolis Mons, was named Bradbury Landing after well known sci-fi writer Ray Bradbury, who had passed away shortly before Curiosity’s touchdown on Mars. The vehicle, which is equipped with a plethora of cameras, sensors, and other scientific equipment, has been driving around the planet ever since. Its primary mission is to research the Martian climate and geology, and to ascertain whether conditions around the Gale Crater were ever able to sustain microbial or other type of life. Gale is an impace crater estimated to be 3.5-3.8bn years old, so Curiosity will be able to pick up samples that will provide great insight into Martian ancient history. 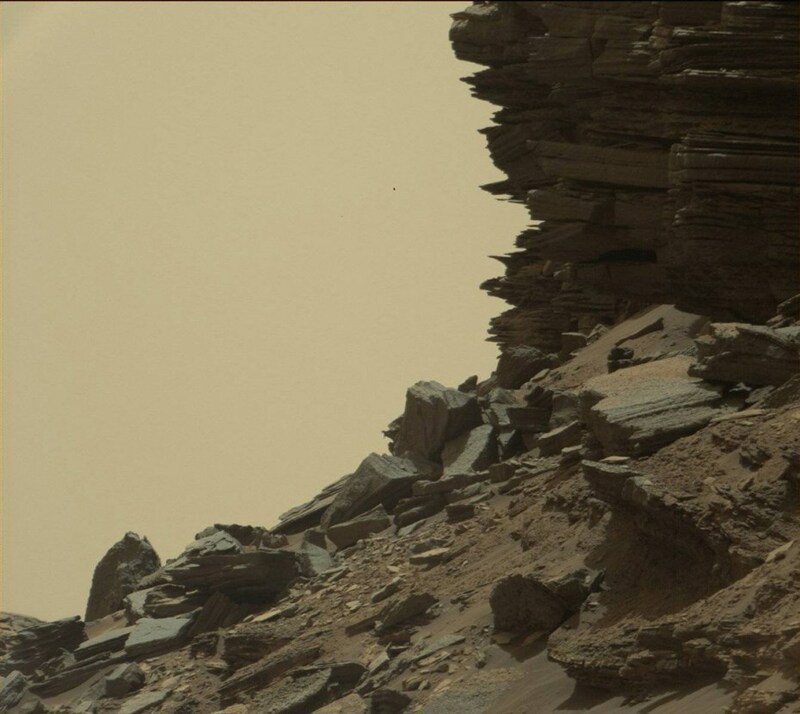 Posted on September 10, 2016 June 19, 2017 by d4hakkaPosted in SpaceTagged curiosity rover, gale crater, mars, space exploration.